Loads of bingo, slots, scratchcards etc. Lucky Pants Bingo is one of our favourite online bingo sites being one of the few sites running the Daub software alongside ‘Kitty Bingo’ and ‘Bingo Extra’. Developed by Daub Alderney as part of the Stride Gaming Group, you know that you’re in safe hands with the company boasting original ownership of Wink Bingo and Posh Bingo. It’s a completely different feeling with to play and is definitely worth a shot to see what all the hype is about. Just don’t forget to wear your Lucky Pants. New player offers available at Lucky Pants Bingo is unrivalled with four huge bonuses available when you sign up today by hitting the ‘Claim Now‘ button. Fancy a try before you buy? 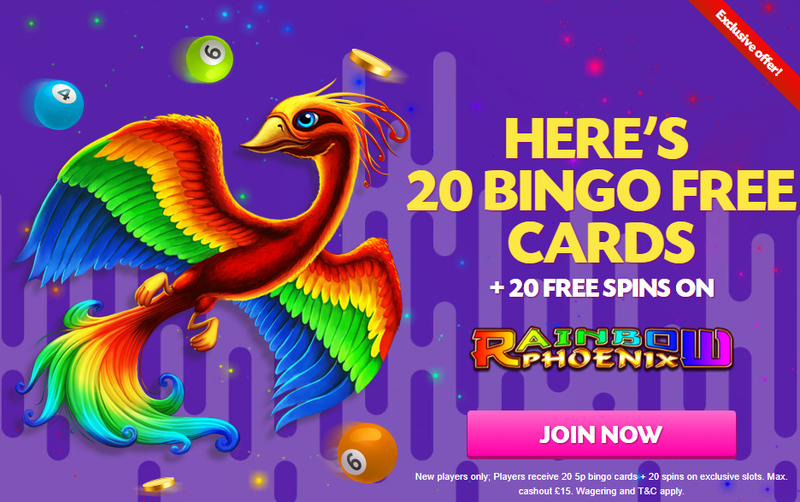 Sign-up today to claim 20 Free Bingo Cards as well as 20 Free Spins for all your Free Bingo needs. With no deposit required, it’s no risk all reward – it’d be rude not to. Enjoying how it’s going? How about a little bit of a 1st Deposit Offer? Get 200% Bingo Bonus or 100% Slots Bonus – just by depositing for your first time. Minimum deposit of £10 is required with a maximum of £50 to claim the offer. Simply deposit and choose your preferred bonus by following the on-screen instructions. Bosh. What’s better than 1 deposit bonus? How about a 2nd deposit bonus – sure sounds good to us. With Lucky Pants Bingo, claim 100% Bingo Bonus or 50% Slots Bonus depending on what suits you the most. Simply deposit a minimum of £10 and maximum of £50 and follow the onscreen instructions to choose your bonus. If anything a 3rd deposit bonus is just greedy, but with Lucky Pants Bingo you will receive an frankly absurd 150% Bingo Bonus or 75% Slots Bonus. Once again, deposit a minimum of £10 and maximum of £50 and follow the onscreen instructions to choose your bonus. Slots and Bingo fans alike will be pleased with not only the selection of games available – but the new player offers possible with Lucky Pants Bingo. Unlike many other Bingo sites, Lucky Pants Bingo does not actually have a mobile app for portable gaming on your smartphone or tablet. However, providing good internet access and a phone newer than a Motorola Razor, you should be able to log in and play through your mobile browser. So that’s good news. Wagering at Lucky Pants Bingo is important to note before making your deposits, just like any other site, so you know the deal of what you’re getting into. Information written at the time of posting may also have changed, so don’t neglect the small print. Irrespective of the deposit bonus that is chosen, the 100 free spins will be credited in 5 batches of 20 spins. The first batch is issued on first deposit with the remaining 4 batches on consecutive days following. You should also note that photo ID, proof of address and a copy of card my be requested at any time and that a maximum of 10 withdrawals per day are permitted. Deposits and withdrawals are super easy with Lucky Pants Bingo with various ways to claim your winnings, making it as painless as possible. Lucky Pants Bingo prides itself on great customer service, stating that it is important to them as is it is to you that you’re happy with the service. A full 24/7 friendly support team are available with a variety of different ways to reach to get to the bottom of your issues.